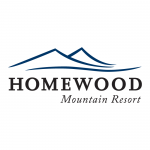 The Redding area has a great family-friendly ski resort close by (Mt. Shasta Ski Resort) and a handful of other exciting resorts within driving distance. We’ve compiled a list below of regional ski resorts in order of distance from Redding, starting with the closest. Are we missing your favorite Redding area ski resort? Please let us know and we’ll add it to our list to share with other NorCalPulse.com users, giving you a shout-out for taking the time to do so.